Choosing a college is hard, especially when you have no idea where to start looking — or what questions to ask when you get there. It can be intimidating when your tour guide asks, “Do you have any questions?” You’re probably overwhelmed by all the information you just heard. Here’s a list of questions to help you compare schools and save you from that deer-in-the-headlights moment. This question is important because you may be staying in this environment for the next four years, so you have to make sure it is right for you. Are you allowed to bring your pet? Can you have a fridge? What precautions are taken for the safety of the students? Your tour guide will be able to elaborate on the answers to any of your questions regarding dorm life, as she will have her own perspective of the residence halls and the advantages of already living on campus. What financial assistance is available for students? This was my main question coming into college because, let’s face it, college is expensive. Most schools will try to work with students financially and offer scholarships based on merit or financial need. Sweet Briar offered me the most financial aid out of all of the schools I applied to. 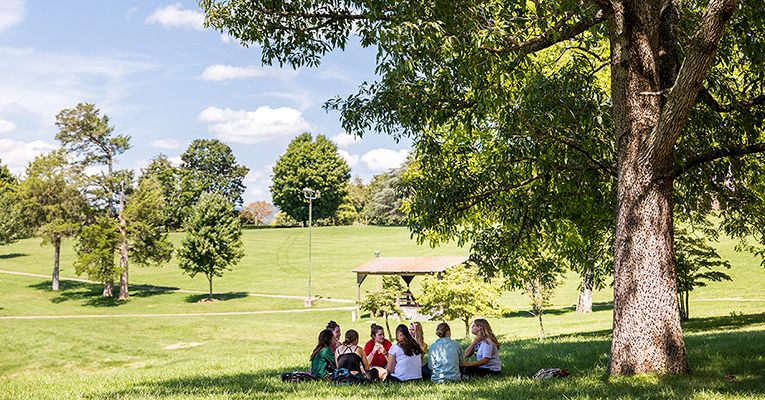 This fall, Sweet Briar lowered tuition by 32 percent (from about $50,000 for tuition, room and board to $34,000) while still offering more than 250 scholarships. What are the alumni relations/networking like? At any great college, the alumni are happy to help students through their undergraduate years. If the alumni are passionate about the school and the success of its students, that passion has a positive impact on the students, as well! At Sweet Briar, our alumnae work tirelessly to assist current students in their search for internships and job opportunities through LinkedIn and Alumnifire, a useful online alumnae networking resource for students. It is important for students to think about life after college, and at Sweet Briar, the alumnae are happy to help! What academic resources are offered to students? Before college, I never wanted to admit that I needed tutoring. For instance, I am awful at math, so it’s great that Sweet Briar offers help through the Academic Resource Center (ARC) to assist students with any subject. Student mentors are ready to help with papers or homework you might be struggling with. Generally, all colleges provide some academic resources to their students, so don’t be afraid to ask! This question is one of my personal favorites to be asked. Ask as many people as possible what drew them to the college, and you can get a sense of the students and the general atmosphere. It’s also nice to hear the stories of others and about the moment they knew this campus was right for them. Personally, I’ve heard about Sweet Briar my entire life from an alumna who also happens to be a close family friend, though I wasn’t completely sold on the college until my first visit. I was able to meet students and faculty and see the beautiful campus for myself. Everyone has a similar story, and they would love to share it with you! The main thing to remember when you visit a college campus is to feel free to ask any questions you may have. If you don’t have any questions at the time, follow up with an email later! Ready to visit Sweet Briar? You can sign up for our Fall Open House on Nov. 11-12 or schedule a personal visit. Want to see what Sweet Briar looks like right now? Try our virtual tour. 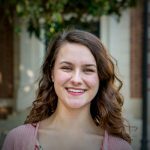 Sammy Runyon ’21 is a psychology major from Knoxville, Tenn. She is a student admissions ambassador and the Class of 2021 secretary for 2018-19 and is active in the Sweet PEAs, the peer health education advocates.